Thanks for visiting my first blog as ASCEai??i? ?s President. This forum will give me the opportunity to discuss whatai??i? 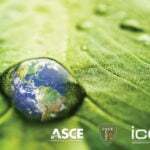 ?s happening in the world of civil engineering and at ASCE. I welcome your comments on my posts and if you have a good point or a question, Iai??i? ?ll do my best to reply. As ASCEai??i? ?s 2012 president, I intend to spread our message on the poor condition of and the urgent need to invest in our nationai??i? ?s infrastructure. The Washington Postai??i? ?s Business section recently produced an exceptional special report on infrastructure. Not only does it help get the message out to its influential readers, but the Postai??i? ?s reporting will also provide inspiration for making the case yourself for investment at the state and local level. A column by Barry Ritholtz states articulately and bluntly how dire the situation is: ai?? 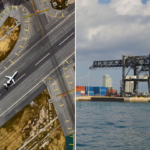 ?If you have spent much time traveling around the United States, you likely have noticed that our infrastructure looks a bit worn and tired and in need of some refreshing. If you spend much time traveling around the world, however, you will notice that our infrastructure is shockingly bad. So bad that itai??i? ?s not an exaggeration to declare it a national disgrace, a global embarrassment and a massive security risk.ai??? Ritholtz also cites ASCEai??i? ?s 2009 Report Card for Americaai??i? ?s Infrastructure and its overall grade of ai???D,ai??? then highlights the contrast between investment need and whatai??i? ?s being proposed. He notes how recent proposals for $50 billion in spending seem slight in the context of our Report Cardai??i? ?s call for $1.1 trillion in additional investment over five years to raise the countryai??i? ?s grade from its present ai???Dai??? to a ai???Bai???. The Post also offered a peek inside the current thinking of lawmakers, administrators and others in Washington with an online discussion (see video highlights.) Plus the paper included special written commentary from many of the same participants. These included House Transportation and Infrastructure Committee Chairman John L. Mica (R-FL), and Transportation Secretary Ray LaHood, who said straight out, ai?? ?We need to find pots of money to do big things and to leverage that money against private money in the country. No better way to do it than the infrastructure bank.ai??? The sectionai??i? ?s main feature looks at the pros and cons of privately funded infrastructure. Check out the Postai??i? ?s special infrastructure content, and come back here to the blog to share your impressions in the comment section. After reading the above article and the THREE responses, it appears that not only the public at large, but also the engineers do not get the point. I expected to see many more responses than the THREE. After having worked as an engineer for over 50 years and in the public sector for almost 30 years with the NYSDPW/DOT, it is clear that as the population centers grew around the major cities and the obvious, at least previously, need to get from farm to market, and increased need for surface level travel in and around the cities appeared to diminish as an objective of the nation as a whole. “The ‘ultimate system’ was there when I was born, so why can it not just be maintained and supplemented in the same spot to handle the increase in traffic?” appears to be the sentiment of many, if not most of the populace. 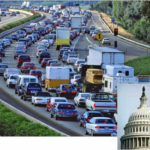 It takes thinking and hard work to understand that the magnitude of the populace requiring the infrastructure could not even been remotely anticipated when the last big effort in just the highway system, the Interstate System, was promulgated and began. It was a product of General and President Eisenhower’s experiences with transportation in Europe during the Second World War that gave it the political energy to proceed. Today that understanding of most if not all of the populace and the sheer mention of raised taxes to support great infrastructure improvements sends people heading for the bomb shelters, instead of the forward thinking of improving their county and the standard of living for the whole country’s populace. It is not that people do not like engineers or what they do: it is that they do not understand that if they do not do what they need to do there will be no tomorrow in the sense of security, jobs and possibly their country. It takes work, it takes hard work and the tenacity to stick to a long range plan. It requires much change in the way politics is defined and the way our representatives in government represent us. The revolution that is needed now is a revolution in the way we think. We need to stop thinking of the return on investment for the latest quarter, and be concerned about the return on our inverstment of our taxes and of our representatives on the survival of our country for the next century and after. It is time to take the words of John F. Kennedy to heart: Ask not what your country can do for you, but what you can do for your country! Most of us forget that a country without people working together is just a piece of land with no purpose. Without the you in country there is no country. It seems to me that based on the representative republic system of government that is in the US, the fact that more of the public does NOT critique the cost is a BIG issue. I believe most of the public does not recognize the cost for infrastructure and as such also can not determine the value. 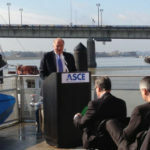 ASCE bringing attention to infrastructure issues is appropriate and a BIG part of what I support ASCE continuing to do; however, blind support for more $ for infrastructure spending is not a good solution. I believe the mis-connect between the cost of infrastructure and the user is a major issue. I have read the cost of traffic delay (quantified) in reports. Hmm, can a link be made with OnStar, Garmin, etc. the in car GPS & control software to quantify delay to the driver (user)? Sign me up for that project. Thank you for highlighting the Washington Post coverage. I would not have been aware of the articles. Here in Connecticut, just in the past week water, water main breaks have interfered with the morning rush sufficiently to make the traffic reports twice. I propose that we start tracking these infrastructure caused disruptions and the affect on our ability to conduct business and go about our day. The price in productivity and lost time will become clear. A water main break, an emergency closure of a bridge or roadway, the lack of power after storms due to deferred maintenance; it adds up very quickly. Each section and branch should report incidents and on the national level the accumulated affect would be appalling. ASCE, the sections, and members, have to proactively work towards identifying the costs, propose mechanisms for funding, and then create solutions. In reading your blog as well as the article in the recent issue of Civil Engineering Magazine regarding the state of the nation’s infrastructure, I would like to make a couple of comments. In California when I see a transportation project under construction, it seems like usually the majority of work and deals with HOV lanes (e.g. 22 at 405 freeway in Orange County, north 5 freeway near 118 in San Fernando Valley). If our infrastructure is so bad, then why do we spend the valuable $ with projects like this that will do little to improve the state of our infrastructure. The high speed rail project planned for California will cost ~$98 billion. This for a rail line to connect Los Angeles to San Francisco to compete with an airfare that is ~$150 round trip right now. It seems to me that we could raise California’s infrastructure grade considerably if we used this $98 billion for improving our infrastructure instead of the high speed rail. It is hard to take seriously any discussions on government funding of infrastructure that involves new taxes and sources of revenue when I don’t see the money the state has now being spent wisely.